Gorgeous Extra Large Storage Box, lined in plush black. 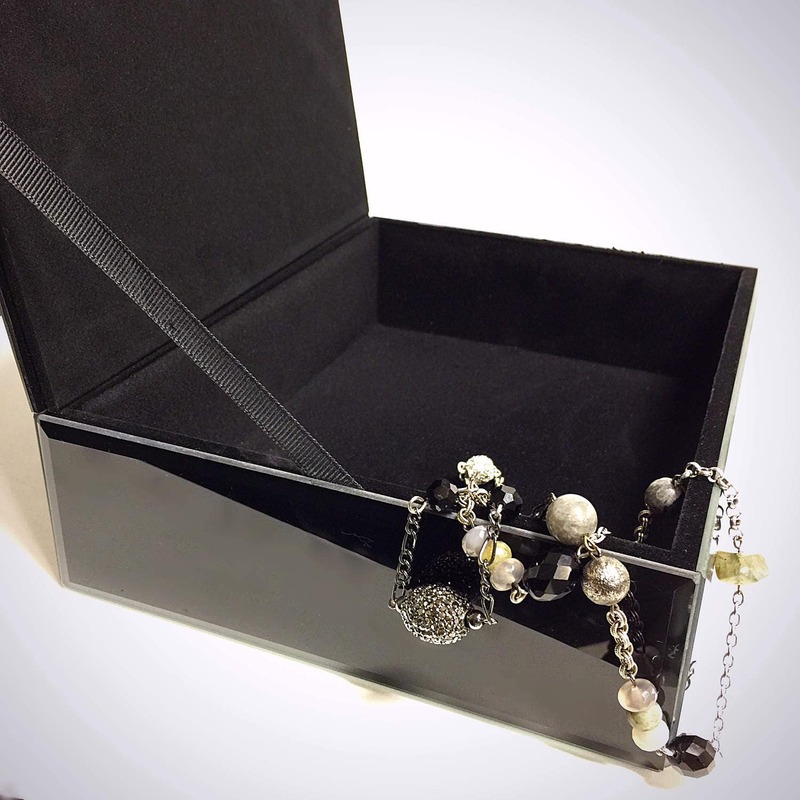 This is a one of a kind box that is both beautiful and functional. 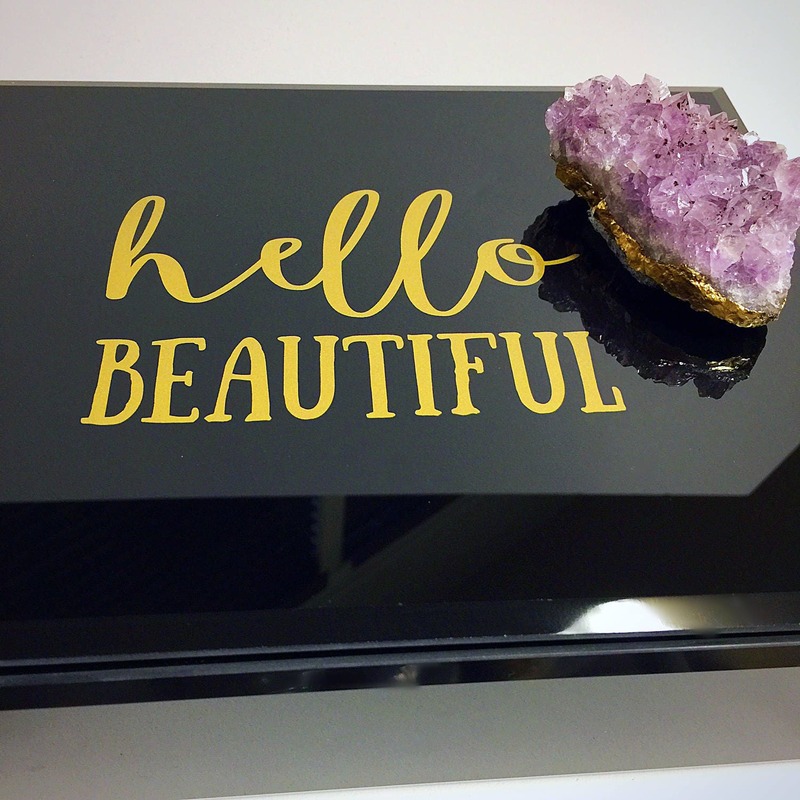 Large enough to hold a ton of jewely, knicknacks, TV remotes, you name it! 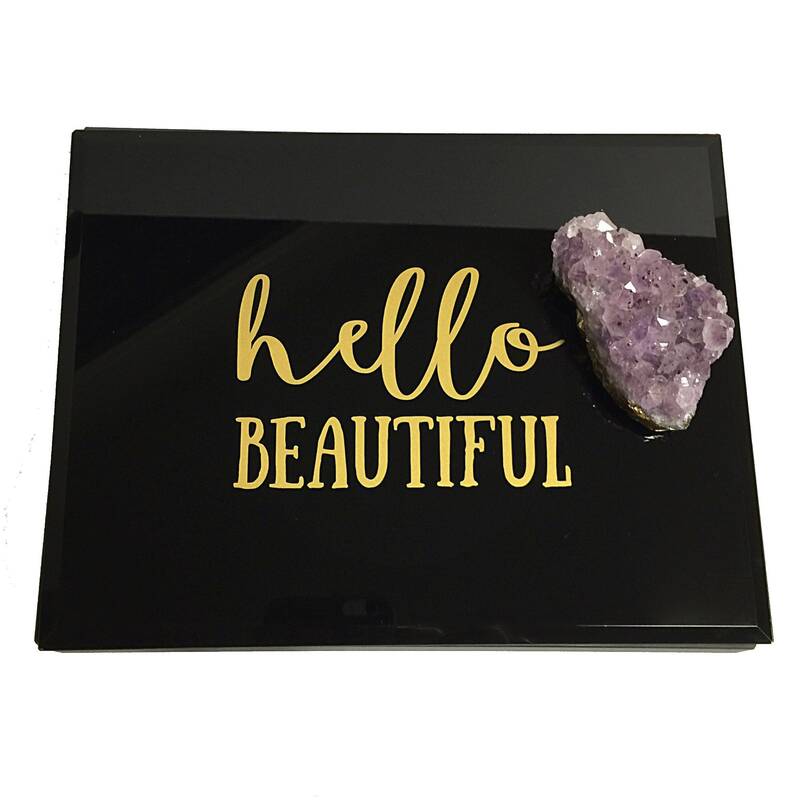 Extra Large hinged Box is made from beautiful glossy black 2 dimensional beveled glass, is lined in plush black and measures 3.75" H x 9" W x 7" D.
Amethyst Cluster is brilliant and sparking! 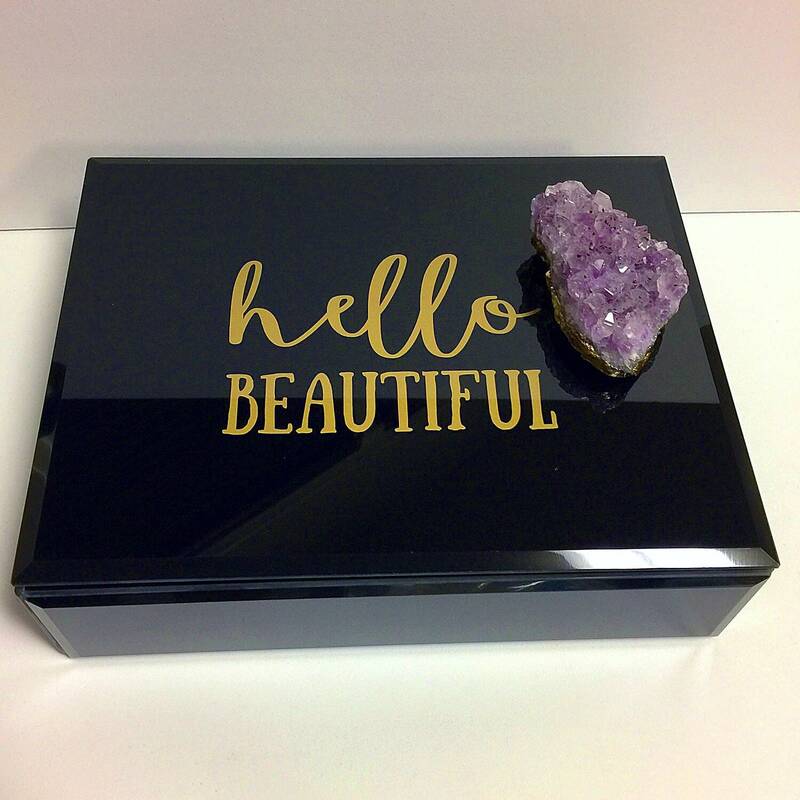 The Amethyst on top of the box is 3 x 2" and is edged with Gold Leaf. 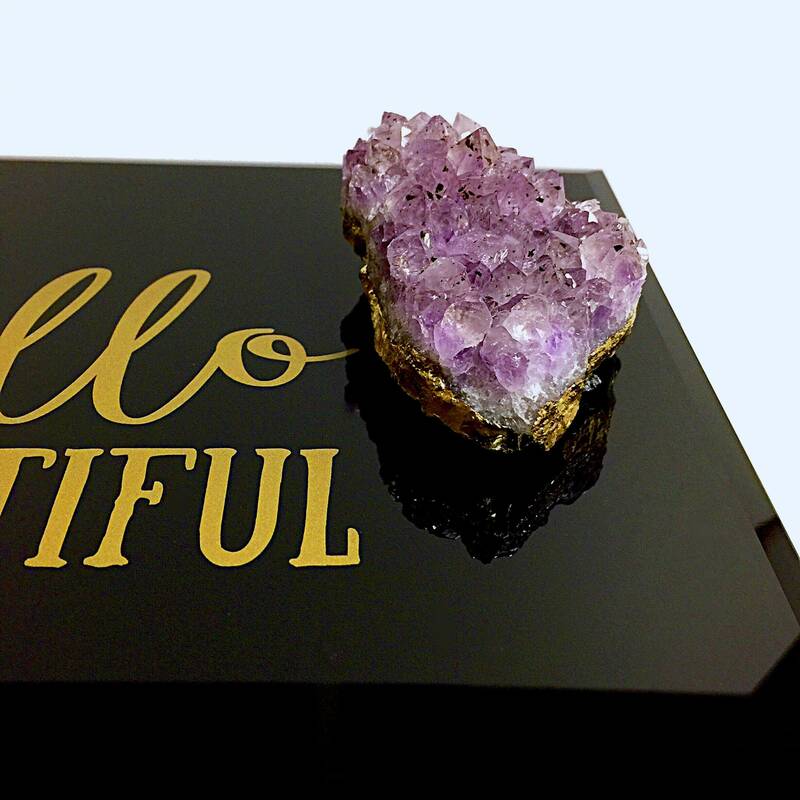 "Crystalline quartz in shades of purple, lilac or mauve is called amethyst, a stone traditionally worn to guard against drunkeness and to instill a sober mind. 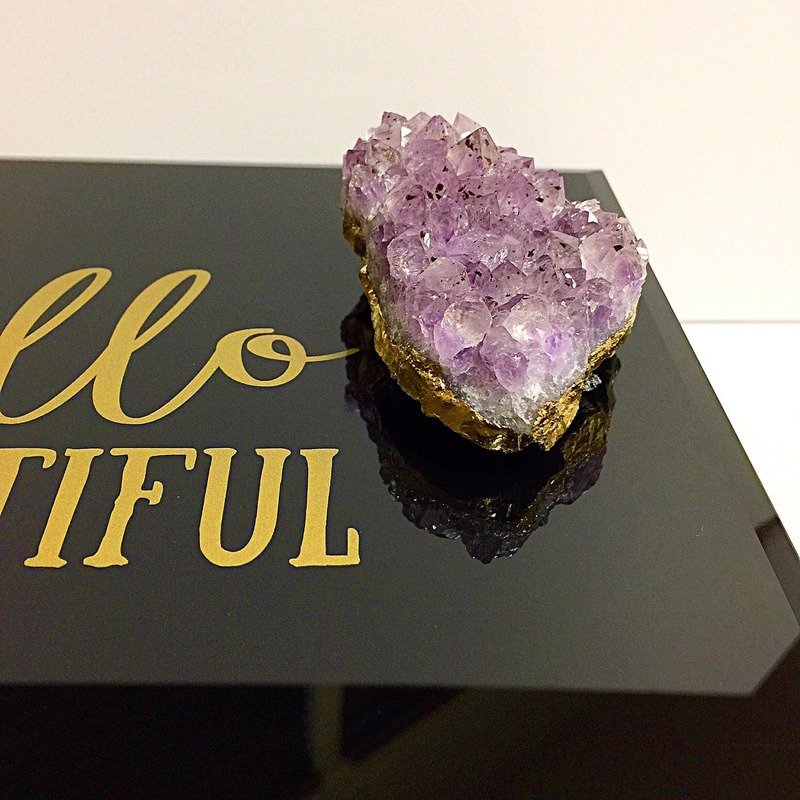 The word amethyst comes from the Greek meaning "without drunkenness" and amethyst is believed to protect one from poison."